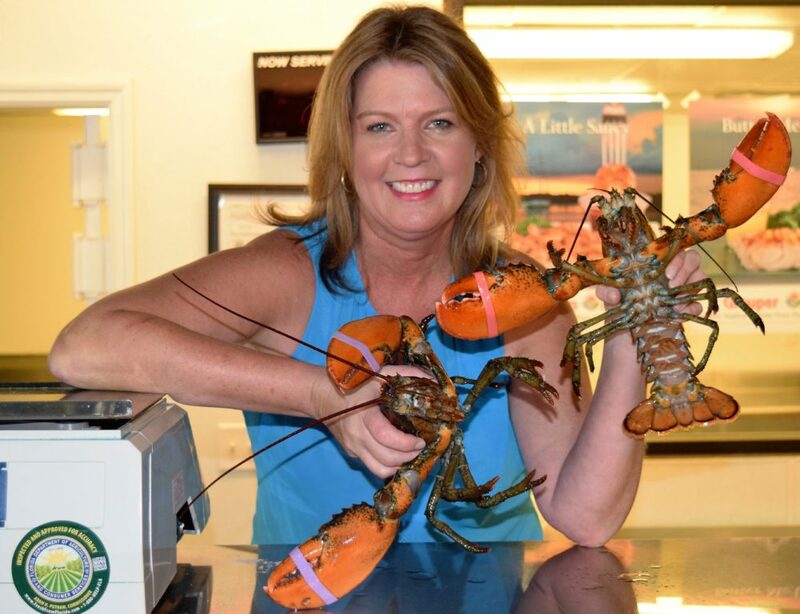 Just in time for the Holiday season and perfect for a winter meal! To celebrate the holidays we gather with family and fabulous foods some traditional and some not so traditional. 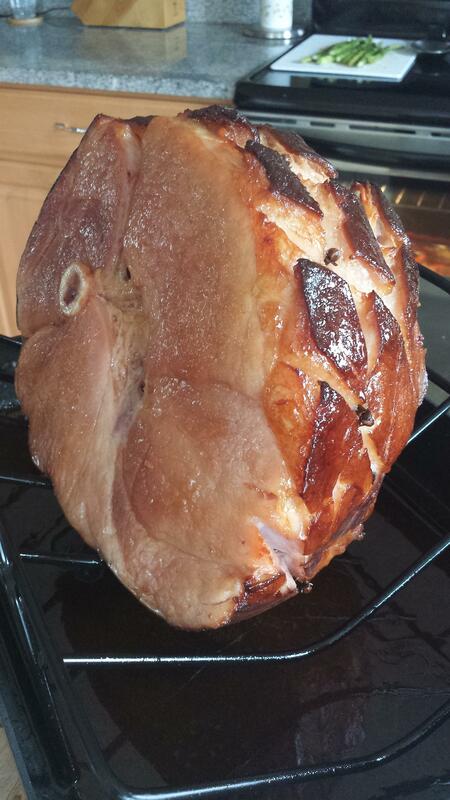 The good old ham always a favorite but why not make it a little easier for you by buying a precooked/smoked ham there is nothing wrong with that. 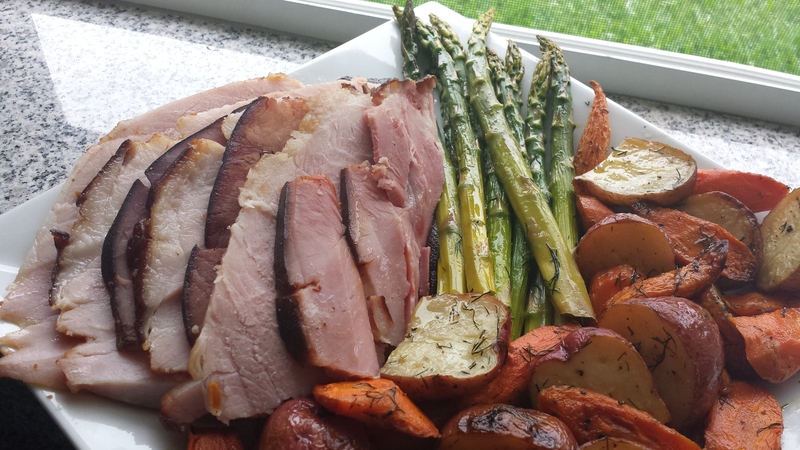 Three simple ingredients and you will have a fabulous and super delicious ham. What you will need. 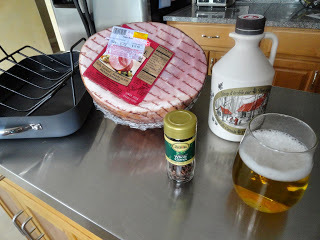 Roasting pan, Precooked ham, 1/3 cup Pure maple syrup, 1 beer(any) and 30 cloves. 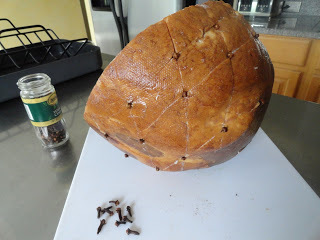 with a sharp knife cut through the outside fat of the ham and push cloves into ham like you see below. 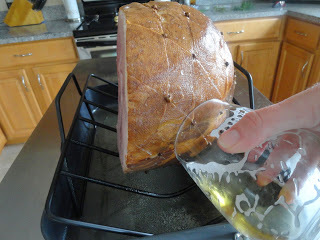 Place ham on a rack in a roasted pan and pour 1 beer into the pan. 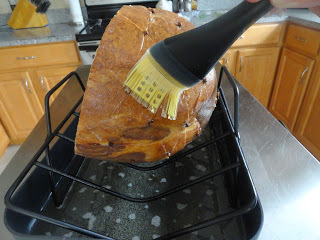 Brush the ham all over with maple syrup and repeat this step a few time while ham is cooking I did this twice while the ham was cooking. Preheat oven at 325 and bake 15 minutes per pound mine was 9 pounds so 1 hour and 30 minutes. Serve with your favorite roasted vegetables. I love serving the main course all on one huge plate to pass around the table for everyone to serve themselves family Style! Bon Appetit!